Last week I looked at the question of personal freedom vis-à-vis authority in the Church and to what degree public opinion in the Church has been accepted and promoted since Vatican II by Pope John Paul II and now Pope Francis. The question, as I wrote, is a perennial and penetrating one in the Church, and for that reason requires continual and up-to-date reflection. But it is not limited to the Church; every community and society must in one way or another respond to this question. A quick glance across the globe will find any number of different social systems in which freedom of expression confronts the political authority. In Canada we are seeing a debate around this question as the federal government advances its anti-terrorism bill c-51. Applying the Church’s teachings to this issue serves to clarify the discussion and results in a stern warning to all Canadians. 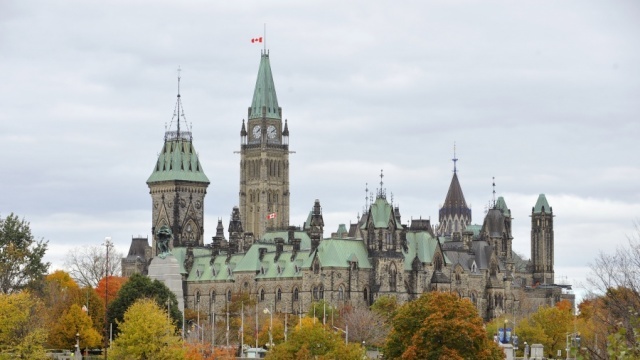 The House of Commons Public Safety Committee is expected to begin hearings on the proposed bill this week. The New Democratic Party has voiced its opposition to the government’s plan to hold only eight meetings for hearing witness testimony. The NDP is demanding at least twenty-five meetings and would call former Prime Ministers, former Supreme Court judges and former members of the Security Intelligence Review Committee to testify. The government, which holds a majority on the committee, will probably not hear from any former PMs, and they rebut that general opposition to the bill disrespects the wishes of Canadians for greater security. It is expected that the Conservatives will push the bill through committee and into the House to be voted into law. Other notable critics include Rex Murphy of the CBC, who gave his point of view a few weeks ago insisting that the gravest legislation, such as bill c-51, must be subject to the gravest public scrutiny. Political commentator Andrew Coyne wrote in a recent article that, “The Harper Tories are the Soviet boxers of Canadian politics, a technicolour stereotype of plodding brutality,” insinuating that Canadians should expect nothing less from this government than steam-rolled legislation in the face of widespread opposition. There are effectively no mechanisms of oversight or accountability proposed along with the new, beefed-up powers granted to these national security services. This is an example of the tension around our central question of freedom vis-à-vis authority; in this case it can be expressed as a debate over individual liberty vis-à-vis public security (common good). For her part, the Church must be a voice in the debate. Her credibility lies in her wisdom which stems from experience, not theory—experience with the centuries-old struggle of freedom vis-à-vis authority. To her credit, she is always advancing, developing and deepening her understanding of the mysteries of human existence and its collective progress toward God. Her role through the epochs of history is one of accompanying the human family. Through the sinfulness and shortsightedness of some of her members, she has made mistakes. Upon reflection and over time, she acknowledges and amends those mistakes. But she has—and always has had—at her core a love for the human person, and for their true freedom. It is clear from this statement that only exceptional cases may justify such an intervention of the state for the sake of the common good. Notice too, that the goal of such an intervention must be directed toward the free pursuit of our individual and collective wellbeing. Does the intention, method and action of the government in proposing and advancing bill c-51 live up to these criteria of the Magisterium of the Church? Clearly there is cause for concern. The severity of the legislation is itself quite jarring, even in light of our collective consciousness of the global reality of terrorism. Then there is the fact that a sitting government of one of the most regarded “democracies” of the world seems to be proposing a piece of legislation that by its very nature jeopardizes the foundations of democracy, i.e. individual liberty. Finally, the government appears to be advancing this legislation in such a way that Canada’s democratic process, by which laws are scrutinized and effected, is being threatened. Let us apply this to the government’s method of advancing bill c-51. It is a fascinating yet disturbing irony that the government, acting as a single group of people, seems to have succumbed to this extreme individualism that Cardinal Ratzinger warned about. Look closely. It is true that in bill c-51 the government would effectively surrender the rights of individual Canadians for the sake of the common good. But it’s also true that the government is advancing the bill despite widespread opposition to its contents and reasonable calls for further debate, and thus disregarding Canada’s established democratic process. What appears to be an effort to protect the common good is being carried out in offense to the common good. Vatican II warned against this kind of totalitarian methodology, where a government freely exercises its authority irrespective of the rights of individuals or other groups—in this case, the right to thoroughly debate legislation before it is passed into law. Responsibility is the necessary counterpart of freedom; this has to be recognized in order to guarantee freedom and to promote the common good. That is what the Church teaches, and that is what Catholics should say to Canadians in the debate over bill c-51. One final observation to bring the discussion full circle. As I wrote last week, Pope Francis is rapidly bringing to fruition the fifty-year-old teaching of Vatican II on freedom of expression in the Church. I reiterate that this is a significant development, not in doctrine, but in practice. The world is watching the leader of a global community insist on open and honest discussion on matters of great importance. This has already begun to give the Church, among other things, enormous credibility in terms of her voice in the public square. It wasn’t too long ago that many in our secular society dismissed the Church’s voice as antiquated and irrelevant on matters concerning individual liberty or the primacy of conscience. Many still do, in fact, but the inconsistencies of that position will only become more and more apparent. And this, I think, is part of Pope Francis’ plan. He wants the institutional Church to be a model of best practices when it comes to governance, finances and communications. This is why he has spent so much time and energy reforming the Vatican bureaucracy. As these reforms materialize, the faithful together with the bishops can enter the public square with renewed confidence and equipped with the Church’s transformative message of love, charity, freedom, equality and justice. It’s true that the Church is not a democracy in the sense that Catholics can elect their leaders. It is, by the grace of God, something much more than that. It is a torch, a light, in the midst of all people, to help guide us toward that which we all inherently seek. And along the way it teaches us how to live freely and responsibly for the good of all. Canadians, on the other hand, can elect their leaders, and will again this fall. In light of the debate around bill c-51 and countless other issues, it will be interesting to see how our "democracy" responds.